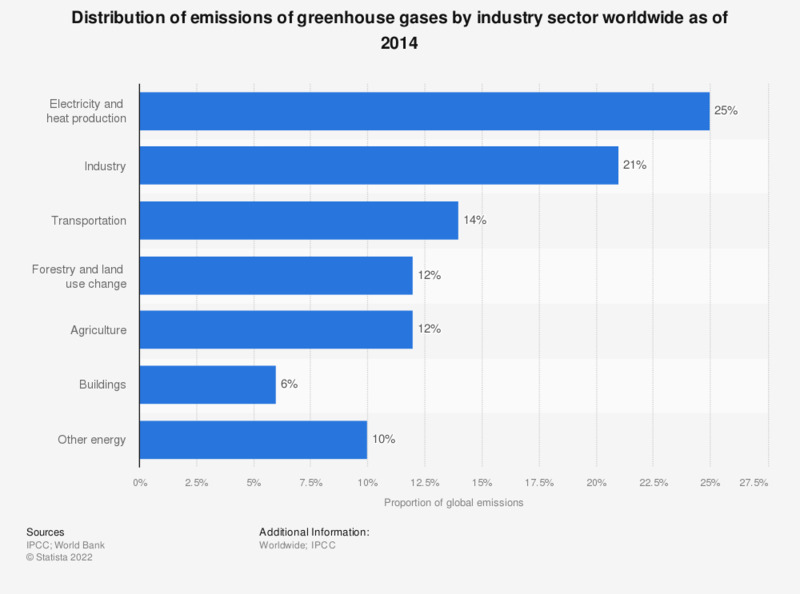 The statistic shows the distribution of greenhouse gas emissions worldwide by sector as of 2014. Emissions from electricity and heat production accounted for 25 percent of greenhouse gases that year. Forests can act as a critical carbon sink but its capacity to take in carbon has been mitigated by deforestation and forest degradation.